Data is everywhere and analytics prevail in our everyday life. Some people may misinterpret these terms, mistakenly believing that data and analytics are needed only for businesses, governments, and statistical purposes. But this is not exactly true. Sometimes we do not even realize that the majority of our everyday actions are preceded by collecting data and analyzing it either using some special tools or just exploiting our brains. Of course, data and analysis are very important in our everyday life, but we can’t lessen its importance in the world of business and commerce. 1. Data and analytics help us to act logically and make well-considered decisions. It is not a secret that some managers run business based on their sixth sense or intuition. This could have been an option a hundred years ago when there were no tools for quick and reliable data collection, maintenance and analysis. But nowadays there are so many various Business Intelligence programs that can assist users with any skills to make analyses quickly and thoroughly and thus more successfully run their companies. 2. Data and its analysis prevent us from repeating the same mistakes. We can’t rely solely on human memory or experience. Of course, machines aren’t able to replace people, but they can be of greatest help in recording and analyzing the past and making forecasts for the future. Having analyzed previous situations, it is possible to draw a trend and find reasons or causes that have led to a specific situation. Having analyzed what was the root of the failure in the past, managers can make decisions to avoid these false actions and try a different approach to reach better results for the company in the future. 3. Facts and analytical conclusions give us the greatest power of persuasion. We live in the world of information and obtain access to a numerous sources of data. Having facts in hands anyone can become a wonderful interlocutor, whom it is interesting to talk to and pleasant to spend time with. Possessing valuable data it is much easier to prove one’s right or defend one’s point of view. Knowledge provides self-confidence, which gives better skills to run a business and manage people. 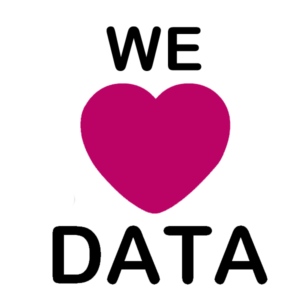 So, now you see why berryBI team is so passionate about data and analysis! And should you need any assistance in this field, do not hesitate to contact us and we will be happy to help.